Buchalski, M.R., C.W. Epps, J.W. Cain III, and L.M. Thompson. 2018. Evaluating Adaptive Capacity of Desert Bighorn Sheep to Climate Change: Identifying Genetic Links to Climate Adaptations. Final Report to USGS Climate Change and Wildlife Science Center. Humagain, K., C. Portillo-Quintero, R.Cox, and J.W. Cain III. 2018. Estimating forest canopy cover dynamics in Valles Caldera National Preserve, New Mexico, using LiDAR and Landsat data. Applied Geography 99:120-132. Kalb, B.W., B.M. Huntsman, C.A. Caldwell, M.A. Bozek. 2018. A mechanistic assessment of seasonal microhabitat selection by drift-feeding rainbow trout Oncorhynchus mykiss in a southwestern headwater stream. Environmental Biology of Fishes 101:257-273. Goljani, R., J.K. Frey, J.W. Cain III, S.W. Breck, D.L. Bergman. 2018. Predicting spatial factors associated with cattle depredations by the Mexican wolf (Canis lupus baileyi) with recommendations for depredation risk modeling. Biological Conservation 224:327-335. Cain, J.W. 2018. Book Review: And Then There Were None: The Demise of Desert Bighorn Sheep in the Pusch Ridge Wilderness by Paul R. Krausman. Journal of Wildlife Management 82:475-476. Zeigler, M.P. and C.A. Caldwell. 2017. Feasibility study: Establishing native fish fauna to McKittrick Creek, Guadalupe Mountains National Park, Texas. 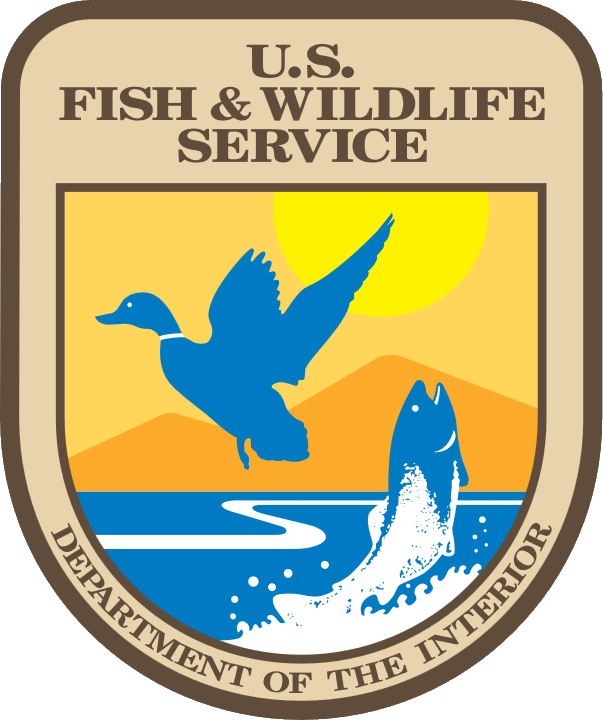 National Park Service Natural Resource Technical Report Series. Whitney, J. E., and 8 coauthors. 2016. Mechanistic basis of climate change impacts on the physiology of North American inland fishes. Fisheries 41:332-345. Salas, E.A.L. ; Valdez, R.; Boykin, K.G. Open-Access Geographic Data for the Argali Habitat in the Southeastern Tajik Pamirs. Data 2016, 1, 5. Raheem, N., S. Archambault, E. Arellano, M. Gonzales, D. Kopp, J. Rivera, S. Guldan, K. Boykin, C. Oldham, A. Valdez, S. Colt, E. Lamadrid , J. Wang, J. Price, J. Goldstein, P. Arnold, S. Martin, E. Dingwell. 2015. A framework for assessing ecosystem services in acequia irrigation communities of the Upper Río Grande Watershed. WIREs Water 2015. doi: 10.1002/wat2.1091. Cain, J.W., III, P.R. Krausman, and S.S. Rosenstock. 2013. Water and Other Welfare Factors, Pages 174-194, in P.R. Krausman and J.W. Cain III, Editors. Wildlife Management: Contemporary Principles and Practices. The Wildlife Society and John Hopkins University Press. Krausman, P.R., and J.W. Cain, III, editors. 2013. Wildlife Management: Contemporary Principles and Practices. The Wildlife Society and John Hopkins University Press. Cain, J.W. III, and J.P. Marhsal, editors. 2013. Proceedings of the IVth International Wildlife Management Congress, Durban, South Africa. Young, K.E., L.B. Abbottt, C.A. Caldwell, and T.S. Schrader. 2012. Estimating Suitable Environments for Invasive Plant Species Across Large Landscapes: A Remote Sensing Strategy using Landsat 7 ETM+. International Journal of Biodiversity and Conservation 5:122-134. Fritts, MW, AK Fritts, SA Carleton, and R Bringolf. 2012. Shifts in stable isotope signatures of freshwater mussel glochidia during attachment to host fish. In Review Journal of Moluscan Studies. Boykin, K.G., W.G. Kepner, D.F. Bradford, R.K. Guy, D.A. Kopp, A.K. Leimer, E.A. Samson, N.F. East, A.C. Neale, and K.J. Gergely. 2013. A National Approach for Mapping and Quantifying Habitat-based Biodiversity Metrics across Multiple Spatial Scales.Ecological Indicators, ISSN 1470-160X, 10.1016/j.ecolind.2012.11.005. Fernald, A., V. Tidwell, J. Rivera, S.Rodriguez, S. Guldan, B.Hurd, C. Ochoa, C. Steele, M.Ortiz, K. Boykin, A. Cibils. A multiperspective model for sustainability of water, environment, livelihood, and culture in traditional irrigation communities and their linked watersheds. Recsetar, M. S., M. P. Zeigler, D. L. Ward, S. A. Bonar, and C. A. Caldwell. 2012. Relationship Between Fish Size and Thermal Tolerance. Transactions of the American Fisheries Society 141:1433-1438. Martin, R.M., C.L. Keeler-Foster, K.G. Boykin, G. Zegers, and W.D. Wilson. 2011. Isolation and characterization of eight novel microsatellite loci in endangered Wyoming toad, Bufo baxteri. Conservation Genetics Resources. DOI: 10.1007/s12686-011-9544-y. Weltz, M.A., L. Jolley, D. Goodrich, K. Boykin, M. Nearing, J. Stone, P. Guertin, M.Hernandez, K.Speath, F. Pierson, C. Morris, and B. Kepner. 2011. Techniques for assessing the environmental outcomes of conservation practices applied to rangeland watersheds. Journal Of Soil And Water Conservation 66(5) 154A-162A. doi:10.2489/jswc.66.5.146A. Kepner, W. G., K. G. Boykin, D. F. Bradford, A. C. Neale, A. K. Leimer, AND K. J. Gergely. Biodiversity Metrics. U.S. Environmental Protection Agency, Washington, DC, EPA/600/F-11/006, 2011. Turnbull, T.T., J.W. Cain, III, G.W. Roemer. 2011. Evaluating trapping techniques to reduce potential for injury to Mexican wolves. U.S. Geological Survey Open-file Report 2011-1190. Cain, J.W., III, B.D. Jansen, R.S. Felger, and P.R. Krausman. 2010. Scallopleaf sage (Salvia vaseyi, Lamiaceae) discovered in Arizona. Journal of the Botanical Research Institute of Texas 4:755-760. Carleton, SA and C Martinez del Rio. 2010. The relative contribution of growth and catabolism to isotopic incorporation in fish: an experimental study. Functional Ecology 24:805-812. Fair, J., E. Paul, and J. Jones, Eds. 2010. Guidelines to the Use of Wild Birds in Research. Washington, D.C.: Ornithological Council. Contributing author. Chapter 3: Capture and Marking. Caldwell, C.A., F.T. Barrows, M. Ulibarri, and W.R. Gould. 2010. Diet optimization of juvenile Rio Grande silvery minnow (Hybognathus amarus Cyprinidae). North American Journal of Aquaculture 72:57-64. Cho, S.J., C.A. Caldwell, W.R. Gould. 2009. Physiological stress reponses of Rio Grande silvery minnow: Effects of individual and multiple physical stressors of handling, confinement, and transport. North American Journal of Fisheries Management. Wolf, N., S Carleton , and C. Martínez del Rio. 2009. Ten years of experimental animal isotopic ecology. Functional Ecology 23:17-26. Martínez del Rio, C, N Wolf, S Carleton, and L. Z. Gannes. 2009. Isotopic ecology ten years after a call for more laboratory experiments. Biological Reviews 84:91-111. Boykin, K.G., W. Kepner, and D. Bradford. 2009. Applications of SWReGAP Data to Conservation. Gap Analysis Bulletin 16:31-33. Caldwell, C.A., 2008. Climate change and fisheries: Winners and losers. Fisheries 33(12) 618. Bender, L. C. 2008. Age structure and population dynamics. Pages 65-72 in S. E. Jorgensen and B. D. Fath, editors. Encyclopedia of Ecology, 1st Edition, Volume 1. Elsevier B. V., Oxford, England, United Kingdom. Rosas-Rosas, O. C., L. C. Bender, and R. Valdez. 2008. Jaguar and puma predation on cattle calves in northeastern Sonora, Mexico. Rangeland Ecology and Management 61: 554-560.
multi-compartment models to describe 13C incorporation into animal tissues? Rapid Communications in Mass Spectrometry 22:3008-3014. Baldwin, R. A., and L. C. Bender. 2008. Distribution, occupancy, and habitat correlates of American martens in Rocky Mountain National Park. Journal of Mammalogy 89:419-427. Burnham, E., L. C. Bender, G. A. Eiceman, K. M. Pierce, and S. Prasad. 2008. Identification of five canid species from volatile chemical chromatography of scats. Journal of Wildlife Management 72:792-797. Sanchez, B. C., and C. A. Caldwell. 2008. Assessment of exposure risk of polychlorinated biphenyls to interior least terns (Sterna antillarum). Environmental Toxicology and Chemistry 27:617-622. Black Rubio C.M., A.F. Cibils, R.L. Endecott, M.K. Petersen, and K.G. Boykin. 2008. Plant community selection by cattle grazing piñon juniper-grass steppe mosaics in relation to weather and animal reproductive state. Range Ecology and Management 61:394-404. Boykin, K.G. 2008. Fire management over large landscapes: a hierarchical approach. Pp. 201-207. In: Narog, Marcia G., technical coordinator. 2008. Proceedings of the 2002 fire conference: managing fire and fuels in the remaining wildlands and open spaces of the Southwestern United States. Gen. Tech. Rep. PSW-GTR-189. Albany, CA: U.S. Department of Agriculture, Forest Service, Pacific Southwest Research Station. 363 p.
Boykin, K.G. 2008. The ecology of fire on White Sands Missile Range, New Mexico: Implications for fire management. Pp 131-137. In: Narog, Marcia G., technical coordinator. 2008. Proceedings of the 2002 fire conference: managing fire and fuels in the remaining wildlands and open spaces of the Southwestern United States. Gen. Tech. Rep. PSW-GTR-189. Albany, CA: U.S. Department of Agriculture, Forest Service, Pacific Southwest Research Station. 363 p.
Boykin, K.G., D.F. Bradford, and W.G. Kepner. 2008. Habitat Distribution Models for 37 Vertebrate Species in the Mojave Desert Ecoregion of Nevada, Arizona, and Utah. U.S. Environmental Protection Agency, Office of Research and Development (EPA/600/R-08/117, 124 pp). Boykin, K.G., D.I. Boykin, R. Stovall, and R. Whitaker. 2008. Communication and implementation of current research in fire management at varying spatial and governmental scales. Pp. 209-215. In: Narog, Marcia G., technical coordinator. 2008. Proceedings of the 2002 fire conference: managing fire and fuels in the remaining wildlands and open spaces of the Southwestern United States. Gen. Tech. Rep. PSW-GTR-189. Albany, CA: U.S. Department of Agriculture, Forest Service, Pacific Southwest Research Station. 363 p.
Cibils, A.F., Miller, J.A. A.M. Encinias, K.G. Boykin, and B.F. Cooper. 2008. Monitoring heifer grazing distribution at the Valles Caldera National Preserve in northern New Mexico. Rangelands 30-19-23. Kepner, W.G., K.G. Boykin , D.J. Semmens, D.C. Goodrich , C.J. Watts , and D.P. Guertin. 2008. The San Pedro River—A Case Study for Examining Past Landscape Change and Forecasting Hydrological and Biological Response to Urban Growth and Land-Use Change. Pp 39-40. In: Norman, L.M. Norman, Derrick D. Hirsch, and A. Wesley Ward. Proceedings of a USGS Workshop on facing tomorrow's challenges along the U.S.-Mexico border; monitoring, modeling, and forecasting change within the Arizona-Sonora transboundary watersheds: U.S. Geological Survey Circular 1322, 63 p.
Lowry, J. , W.G. Kepner , K.G. Boykin , K.A. Thomas , D.L. Schrupp, and P. Comer. 2008.¬ Contemporary Digital Land-Cover Mapping for the American Southwest—The Southwest Regional Gap Analysis Project. Pp 41-42. In: Norman, L.M. Norman, Derrick D. Hirsch, and A. Wesley Ward. Proceedings of a USGS Workshop on facing tomorrow's challenges along the U.S.-Mexico border; monitoring, modeling, and forecasting change within the Arizona-Sonora transboundary watersheds: U.S. Geological Survey Circular 1322, 63 p.
Boykin, K. G., C. Drost, and J. J. Wynne. 2008. A gap analysis of terrestrial vertebrate species on the Colorado Plateau: Assessment from the Southwest Regional Gap Analysis Project. Proceedings of The 8th Biennial Conference of Research on the Colorado Plateau, Flagstaff, AZ. Rosas-Rosas, O. C., R. Valdez, and L. C. Bender. 2007. Conservacion del jaguar y puma en el norestre de Sonora. Pages 11-18 in G. Ceballos, C. Chavez, R. Listy, and H. Zarza, editors. Conservacion manajo del jaguar en Mexico: estudios de caso perspectives. Conabio-Alianza WWF/Telcel-Universidad National Automona de Mexico, Mexico City, Mexico. Krueger, B., L. C. Bender, W. R. Gould, and P. Morrow. 2007. A fixed-wing sightability model for oryx in desert habitats. In review: South African Journal of Wildlife Research 37:133-142. Keller, B. K., and L. C. Bender. 2007. Behavioral responses of bighorn sheep to road-related disturbance. Journal of Wildlife Management 71:2329-2337. DuBey, R., C. A. Caldwell, and W. R. Gould. 2007. Relative Susceptibility and Effects on Performance of Rio Grande Cutthroat Trout and Rainbow Trout Challenged with Myxobolus cerebralis. Transactions of the American Fisheries Society. 136:1406-1414. Lomas, L. A., and L. C. Bender. 2007. Survival and cause-specific mortality of mule deer fawns in northcentral New Mexico. Journal of Wildlife Management 71: 884-894. Bender, L. C. 2006. Uses of herd composition ratios in ungulate management. Wildlife Society Bulletin 34:1225-1230. Bender, L. C., L. A. Lomas, and J. Browning. 2007. Condition, survival, and cause-specific mortality of mule deer in northcentral New Mexico. Journal of Wildlife Management 71:1118-1124. Lowry, J. R. Ramsey, K. Thomas, D. Schrupp, T. Sajwaj, J. Kirby, E. Waller, S. Schrader, S. Falzarano, L. Langs, G. Manis, C. Wallace, K. Schulz, P. Comer, K. Pohs, W. Rieth, C. Velasquez, B. Wolk, W. Kepner, K. Boykin, L. O'Brien, D. Bradford, B. Thompson, J. Prior-Magee. 2007. Mapping moderate-scale land-cover over very large geographic areas within 3 a collaborative framework: A case study of the Southwest Regional Gap Analysis Project (SWReGAP). Remote Sensing and the Environment 108:59-73. Bender, L. C., L. A. Lomas, and T. Kamienski. 2007. Habitat effects on condition of doe mule deer in northcentral New Mexico. Rangeland Ecology and Management 60:277-284. Boykin, K.G., B.C. Thompson, R.A. Deitner, D. Schrupp, D. Bradford, L. O’Brien, C. Drost, S. Propeck-Gray, W. Rieth, K. Thomas, W. Kepner, J. Lowry, C. Cross, B. Jones, T. Hamer, C. Mettenbrink, K.J. Oakes, J. Prior-Magee, K. Schulz, J. J. Wynne, C. King, J. Puttere, S. Schrader, and Z. Schwenke. 2007. Predicted Animal Habitat Distributions and Species Richness. Chapter 3 in J.S. Prior-Magee, ed. Southwest Regional Gap Analysis Final Report. U.S. Geological Survey, Gap Analysis Program, Moscow, ID. Boykin, K.G., L. Langs, J.Lowry, D. Schrupp, D. Bradford, L. O’Brien, K. Thomas, C. Drost, A. Ernst, W. Kepner, J. Prior-Magee, D. Ramsey, W. Rieth, T.Sajwaj, K. Schulz, B. C. Thompson. 2007. Analysis based on Stewardship and Management Status. Chapter 5 in J.S. Prior-Magee, ed. Southwest Regional Gap Analysis Final Report. U.S. Geological Survey, Gap Analysis Program, Moscow, ID. Ernst, A.E., S. Schrader, V. Lopez, J. Prior-Magee, K.G. Boykin, B. Thompson, D. Schrupp, L. O’Brien, W. Kepner, K. Thomas, and J. Lowry. 2007. Land Stewardship. Chapter 4 in J.S. Prior-Magee, ed. Southwest Regional Gap Analysis Final Report. U.S. Geological Survey, Gap Analysis Program, Moscow, ID. Langs, L., K. G. Boykin, J.Lowry, A.Ernst, D.Bradford, W.Kepner, J.Prior-Magee, K.Schulz, D. Schrupp, K. Thomas. 2007. Conclusions and Management Implications. Chapter 6 in J.S. Prior-Magee, ed. Southwest Regional Gap Analysis Final Report. U.S. Geological Survey, Gap Analysis Program, Moscow, ID. Prior-Magee, J.S., K.G. Boykin, D.F. Bradford, W.G. Kepner, J.H. Lowry, D.L. Schrupp, K.A. Thomas, and Bruce C. Thompson, Editors. 2007. Southwest Regional Gap Analysis Project Final Report. U.S. Geological Survey, Gap Analysis Program, Moscow, ID. Caldwell, C. A., P. Swartzendruber, E. Prestbo. 2006. Concentration and dry deposition of mercury species in arid south central New Mexico (2001-2002). Environmental Science and Technology. In press. Carleton, SA, BH Bakken, and C Martinez del Rio. 2006. Metabolic substrate use and the turnover of endogenous energy reserves in broad-tailed hummingbirds (Selasphorous platycercus). Journal of Experimental Biology 209:2622-2627. Bender, L. C., M. Davison, J. G. Cook, P. B. Hall, and R. C. Cook. 2006. Assessing elk population status and potential performance in the Nooksack herd area, Washington. Northwestern Naturalist 87: 98-106. Cain, J.W., III, and P.R. Krausman, editors. 2006. Proceedings of the 2005 Conference of the Southwest Section of The Wildlife Society. Managing Wildlife in the Southwest: New Challenges for the 21st Century. Southwest Section of The Wildlife Society, Tucson, Arizona, USA. Krausman, P.R., J. Avey, P.K. Devers, J. Tull, B.D. Jansen, and J.W. Cain, III. 2006. Distances moved by desert mule deer when startled. Southwestern Naturalist 51:436-439. Thomas, K.A., K.A. Schulz, K. Boykin. 2006. A gap perspective of the Sonoran Ecoregion in Arizona. Borders, Boundaries, and Time Scales. In: Proceedings of the Sixth Conference on Research and Resource Management in the Southwestern Deserts – Extended Abstracts. May 2-5, 2006, Tucson, Arizona. Pp 93-94. Carleton, SA, and C Martinez del Rio. 2005. The effect of cold-induced increase in metabolic rate on the rate of δ13C and δ15N incorporation in house sparrows (Passer domesticus). Oecologia 144:226-232. DuBey, R., C. A. Caldwell, and W. R. Gould. 2005. Effects of temperature, photoperiod and Myxobolus cerebralis infection on growth, reproduction and survival of Tubifex tubifex lineages. Journal of Aquatic Animal Health 17:338-344. Cain, J.W., III, and B.D. Jansen. 2005. Tree swallow entangled on teddy bear cholla spines. Southwestern Naturalist 50:272-273.
Pepper, M.B., P.R. Krausman, B.D. Jansen, and J.W. Cain, III. 2005. Desert bighorn sheep osteology. Desert Bighorn Council Transactions 48:23-27. Bender, L. C., G. A. Schirato, R. D. Spencer, K. R. McAllister, and B. L. Murphie. 2004. Survival, cause-specific mortality, and harvesting of male black-tailed deer in Washington. Journal of Wildlife Management 68:870-878. Mitchell, S. E., C. A. Caldwell, G. Gonzales, W. R. Gould, and R. Arimoto. 2005. Effects of depleted uranium on survival, growth, and metamorphosis in the African clawed frog (Xenopus laevis). Journal of Toxicology and Environmental Health, Part A. 68:951-965. Caldwell, C. A., F. A. Fuller, W. R. Gould, P. Turner, and D. Halford. 2004. Seasonal changes in 17-B estradiol of the Rio Grande chub (Gila pandora) in south-central New Mexico. Southwestern Naturalist 49:311-315. DuBey, R., and C. A. Caldwell. 2004. Distribution of Tubifex tubifex lineages and Myxobolus cerebralis infection in the tailwater of the San Juan River, New Mexico. Journal of Aquatic Animal Health. 16:179-185. Andersen, M. C., B. C. Thompson, and K. G. Boykin. 2004. Spatial Risk Assessment across large landscapes with varied land use: Lessons from a conservation assessment of military lands. Risk Analysis 24:1231-1242. Bender, L. C., and P. B. Hall. 2004. Winter survival in black-tailed deer populations affected by hair-loss syndrome. Journal of Wildlife Diseases 40:444-451. Bender, L. C., D. P. Anderson, and J. C. Lewis. 2004. Population ecology of Columbian black-tailed deer in urban Vancouver, Washington. Northwestern Naturalist 85:53-59. Foreyt, W. F., P. B. Hall and L. C. Bender. 2004. Evaluation of ivermectin for the treatment of hair-loss syndrome in Columbian black-tailed deer (Odocoileus hemionus columbianus). Journal of Wildlife Diseases 40: 434-443. Caldwell, C. A. 2004. Effects of Pollution on Fish: Molecular Effects and Population Responses. Journal of Environmental Quality 33:1584-1585. Young, K. E., B. C. Thompson, A. Lafon Terrazas, A. B. Montoya, and R. Valdez. 2004. Aplomado falcon distribution and abundance in the northern Chihuahuan Desert of Mexico. Journal of Raptor Research 38:107-117. Bender, L. C., S. M. Schmitt, E. Carlson, J. B. Haufler, and D. E. Beyer, Jr. 2005. Meningeal worm mortality in Rocky Mountain elk in Michigan. Journal of Wildlife Diseases 41:134-140. Carleton, SA, BO Wolf, and C Martinez del Rio. 2004. Keeling plots for hummingbirds: a method to estimate carbon isotope ratios of respired CO2 in small vertebrates. Oecologia 141:1-6. Desmond, M. J., K. E. Young, B. C. Thompson, R. Valdez, and A. Lafon Terrazas. 2004. Habitat associations and conservation of grassland birds in the Chihuahuan Desert region: Two case studies in Chihuahua, Mexico. In J. L. E. Cartron, G. Ceballos, and R. S. Felger eds. Biodiversity, ecosystems, and conservation in northern Mexico. Oxford University Press, New York, New York. Bender, L. C., D. P. Anderson, and J. C. Lewis. 2004. Annual and seasonal habitat use of black-tailed deer in urban Vancouver, Washington. Urban Ecosystems 7:41-53. Cain, J.W., III, D.M. Queheillalt, M.L. Morrison, and K. Christopherson. 2004. Bird habitat use and bird-aircraft strikes at Beale Air Force Base, California. Transactions of the Western Section of the Wildlife Society 40:90-100. Hamazaki, T., B. C. Thompson, B. A. Locke and K. G. Boykin. 2003. Analysis of ecological context for identifying vegetation and animal conservation planning foci: An Example from the arid Southwestern United States. Journal of Environmental Planning and Management. 46(2):239-256. Kroll, A. J., K. G. Boykin, M. C. Andersen, B. C. Thompson, and D. Daniel. 2003. Habitat characteristics of Ashmunella (Gastropoda: Pulmonata: Polygyridae) at White Sands Missile Range and Fort Bliss, New Mexico. Southwestern Naturalist. 48:14-22. Bender, L. C., H. Li, B. Thompson, and R. Valdez. 2003. Infectious disease survey of gemsbok in New Mexico. Journal of Wildlife Diseases 39(4): 772-778. Li, H., K. Galbreath, L. C. Bender, K. West, J. Keller, and T. B. Crawford. 2003. Evidence of three new members of the malignant catarrhal fever virus group in muskox (Ovibos moschatus), Nubian ibex (Capra nubiana), and gemsbok (Oryx gazella). Journal of Wildlife Diseases 39(4): 875-880. Rivieccio, M., B. C. Thompson, W. R. Gould, and K. G. Boykin. 2003. Habitat features and predictive habitat modeling for the Colorado Chipmunk in southern New Mexico. Western North American Naturalist. 63:479-488. Bender, L. C., W. L. Myers, and W. R. Gould. 2003. A comparison of ground and helicopter counts for determining North American elk Cervus elaphus and mule deer Odocoileus hemionus population composition. Wildlife Biology 9:199-205. Bender, L. C., E. Carlson, S. M. Schmitt, and J. B. Haufler. 2003. Body mass and antler development patterns of Rocky Mountain elk in Michigan. American Midland Naturalist 150:169-180. Heffelfinger, J. R., L. H. Carpenter, L. C. Bender, G. Erickson, M. D. Kirchoff, E. R. Loft, and W. M. Glasgow. 2003. Ecoregional differences in population dynamics. Pages 63-90 in J. C. deVos, Jr., M. R. Conover, and N. E. Headrick, editors. Mule deer conservation: Issues and management strategies. Jack H. Berryman Institute, Logan, Utah, USA. Lutz, D. W., B. F. Wakeling, L. H. Carpenter, D. Stroud, M. Cox, D. McWhirter, S. Rosenstock, L. C. Bender, and A. F. Reeve. 2003. Impacts and changes to mule deer habitat. Pages 13-62 in J. C. deVos, Jr., M. R. Conover, and N. E. Headrick, editors. Mule deer conservation: Issues and management strategies. Jack H. Berryman Institute, Logan, Utah, USA. Rosas-Rosas, O. C., R. Valdez, L. C. Bender, and D. Daniel. 2003. Food habits of pumas in northwestern Sonora, Mexico. Wildlife Society Bulletin 31:528-535. Wakeling, B. F., and L. C. Bender. 2003. Influence of nutrition on mule deer biology and ecology. Pages 93-116 in J. C. deVos, Jr., M. R. Conover, and N. E. Headrick, editors. Mule deer conservation: Issues and management strategies. Jack H. Berryman Institute, Logan, Utah, USA. Bender, L. C., P. E. Fowler, J. A. Bernatowicz, J. L. Musser, and L. E. Stream. 2002. Effects of open-entry spike bull, limited-entry branched bull harvesting on elk composition in Washington. Wildlife Society Bulletin 30:1078-1084. Thompson, B. C., P. L. Matusik-Rowan, and K. G. Boykin. 2002. Prioritizing conservation potential of arid-land montane natural springs and associated riparian areas. Journal of Arid Environments 50:527-547. Kuhne, W. W., C. A. Caldwell, W. R. Gould, P. R. Fresquez, and S. Finger. 2002. Effects of depleted uranium on the health and survival of Ceriodaphnia dubia and Hyalella azteca. Environmental Toxicology and Chemistry 21:2198-2203. Schmitt, C. J., C. A. Caldwell, B. Olsen, D. Serdar, and M. Coffey. 2002. Inhibition of erythrocyte delta-aminolevulinic acid dehydratase (ALAD) activity in fish from waters affected by lead smelters. Environmental Monitoring and Assessment 77:99-119. Bender, L. C. 2002. Effects of bull demographics on age classes of harem bulls. Wildlife Society Bulletin 30:193-199. Bender, L. C., E. Carlson, S. M. Schmitt, and J. B. Haufler. 2002. Production and survival of elk (Cervus elaphus) calves in Michigan. American Midland Naturalist 148:163-171. Lehmkuhl, J. F., J. Kie, L. C. Bender, G. Servheen, and H. Nyberg. 2001. Evaluating the effects of ecosystem management alternatives on elk, mule deer and white-tailed deer in the interior Columbia River Basin, USA. Forest Ecology and Management 153:89-104. Cain, J.W., III, P.R. Krausman, J.R. Morgart, and J.J. Hervert. 2002. Use of GPS/Satellite telemetry systems in mountain sheep research. Desert Bighorn Council Transactions 46:10-17. Arrowood, P. C., C. A. Finley, and B. C. Thompson. 2001. Analyses of burrowing owl populations in New Mexico. Journal of Raptor Research 35:362-370. Prior-Magee, J., K. Schulz, K.A. Thomas, D.L. Schrupp, D.F. Bradford, W.G. Kepner, K. Boykin, and R. Ramsey. 2002. Southwest Regional Gap Analysis Project (SWReGAP). U.S. Dep. Interior, U.S. Geological Survey, Gap Analysis Program Bulletin 11: 73-75. Thompson, B. C., G. E. Knadle, D. L. Brubaker, and K. S. Brubaker. 2001. Nest success is not an adequate comparative estimate of avian reproduction. Journal of Field Ornithology 72:527-536. Bak, J. M., K. G. Boykin, B. C. Thompson, and D. L. Daniel. 2001. Distribution of wintering ferruginous hawks (Buteo regalis) in relation to black-tailed prairie dog (Cynomys ludovicianus) colonies in southern New Mexico and northern Chihuahua. Journal of Raptor Research 35:124-129. Thompson, B. C., M. A. Hughes, and M. C. Andersen. 2001. Effects of including non-breeding bird species on predicted bird distributions for conservation planning in New Mexico. Biological Conservation 100:229-242. Canavan, C. M., C. A. Caldwell, and N. S. Bloom. 2000. Discharge of methylmercury-enriched hypolimnetic water from a stratified reservoir. The Science of the Total Environment 260:159-170. Diaz, M. E., B. C. Thompson, and R. Valdez. 2000. Nesting of yellow-footed gulls on Isla del Carmen, Baja California Sur, Mexico. Waterbirds 23:109-113. Bender, L. C. 2000. The relationship between habitat and social group size in black-tailed deer. Northwest Naturalist 81:49-53. Caldwell, C. A., C. M. Canavan, and N. S. Bloom. 2000. Potential effects of forest fire and storm flow on total mercury and methylmercury in sediments of an arid-lands reservoir. Science of the Total Environment 260:125-133. Sutton, R. J., C. A. Caldwell, V. S. Blazer. 2000. Observations of health indices used to monitor a tailwater fishery. North American Journal of Fisheries Management 20:267-275. Thompson, B.C. and K. Boykin. 2000. Approach to regional animal modeling in the Southwest. U.S. Department of the Interior, U.S. Geological Survey, Gap Analysis Bulletin 9:27-28.